Hi , just a quick Hello from me in England , had my Zanzibar red 986 for just over a year and i love it ! . I've done a fair bit of work to it ,Radiators , A/C condensers, Discs and pads ( rotors ? ) stainless steel brake hoses , coil packs and spark plugs, low temp thermostat and new water pump ,engine oil and filter, gearbox oil , air filter, pollen filter , new suspension arms on the rear , so hopefully not too much to spend on it this year ! Welcome to the forum. Nice car and good work. 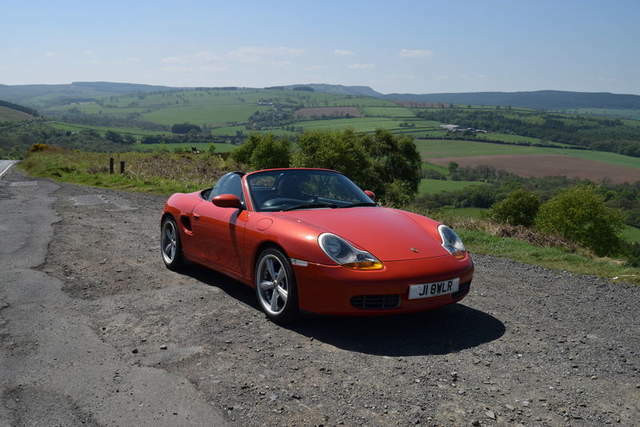 That looks like a beautiful part of the world to own and drive a Boxster. Hello everyone, I am new to this forum and looking forward to it.